The Mt. Eaton Office Furniture Collection Is an amazing set of office furniture that is sure to transform the look and feel of your work space. 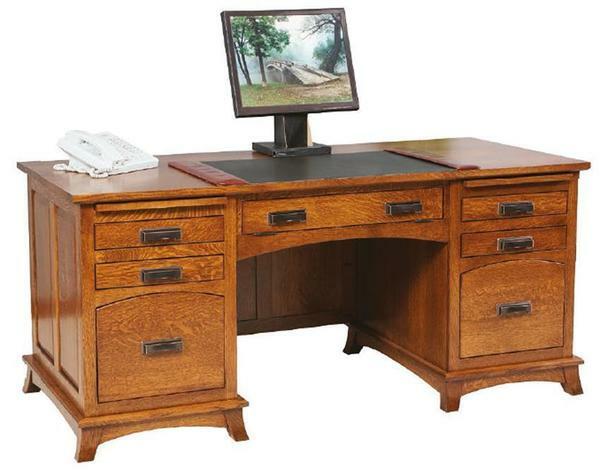 Whether you are updating your home office or your company work space, the Mt. Eaton Collection won't disappoint. With the Mt. Eaton Executive Desk as the center piece of this amazing collection, you can be certain that you have everything you need for a productive and organized work space. Start the ordering process by selecting a wood and finish that best represents your personal style. Our furniture specialists are also happy to help you through the ordering process or to answer any questions you might have. Give them a call today at 866-272-6773.